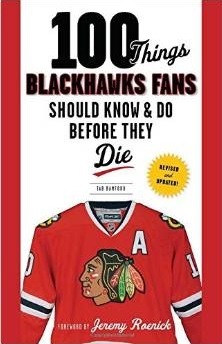 In the hysteria following Scott Foster’s NHL debut on Thursday night, the Blackhawks announced some unfortunate news. First, the good: Collin Delia was dealing with cramps and could play on Friday night. 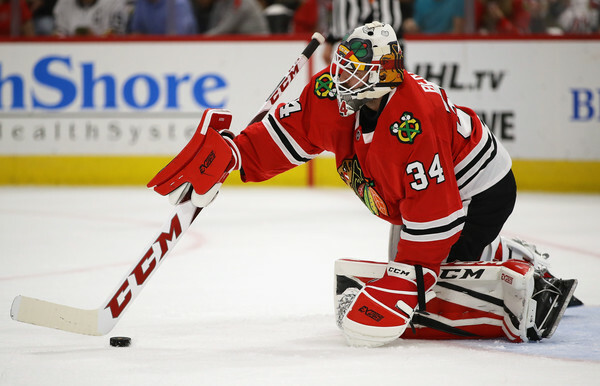 The not-so-good: Anton Forsberg’s injury during warm-ups is sever enough that his season is over. The Blackhawks have already recalled JF Berube from Rockford. Flip a coin, they are both minor league goalies. Too bad. Start him every game. What the hell do they got to lose. We never heard of Niemi at one point. To bad for Forsberg every time he makes progress problems happen. Delia looked good till he got cramps hopefully he can play a few more times before seasons end. Leave JF in Rockford so they have a chance in the playoffs. Hawks are done this year. Sorry but who cares about Rockford. If the Bacon Bits are playoff worthy, they can do it on ECHL callups. Let’s just go with Foster the last 5 games. LOL It doesn’t really matter at this point. Oesterle and a 6th round to Edmonton for a 7th round pick. What ever it takes.